Have you ever wondered how those home pregnancy tests are able to discern from urine that the taker is pregnant? They do so because pregnant women produce a hormone called HCG which is present in their urine soon after conception. 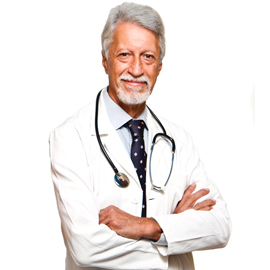 Did you also know that some diet clinics believe that HCG can help in the battle to lose weight? The belief stems from a report published by Dr. Albert T. Simeons who claimed that people using HCG while on an ultra low calorie diet (500 calories per day) lost fat while preserving lean muscle and did so without feeling hungry. He theorized that the HCG was responsible for the fat loss and appetite control and offered the treatment in an exclusive Italian clinic that catered primarily to celebrities. In 2007, HCG use rose dramatically when controversial infomercial salesman Kevin Trudeau began publicizing its use claiming that the truth about HCG was being suppressed by the Government to protect pharmaceutical companies. The Federal Trade Commission sued Trudeau for misrepresenting the content of his book on HCG by claiming the diet was easy to do at home, allowed you to eat whatever you wanted, and would prevent you gaining back the weight after the HCG protocol was completed. In short, the court found that Trudeau’s claims regarding his HCG protocol were false. Much of the controversy surrounding HCG probably stems from confusion over what Albert Simeons claimed about HCG and the inaccuracies that Trudeau spread widely through his books and infomercials. At the core of Simeon’s program was strict adherence to a very low calorie diet which was responsible for the actual weight loss while the HCG was used to help control appetite, prevent muscle loss, and make the low calorie diet easier for people to adhere to. In numerous follow up studies, the evidence that HCG injections without a strictly adhered to calorie restricted diet is quite overwhelming. This indicates that weight loss clinics offering HCG without a strict calorie controlled diet are unlikely to achieve the weight loss results they claim. The use of HCG in a severely calorie restrictive diet is still controversial. The Food and Drug Administration has approved the use of HCG in a medical capacity, but not for weight loss. Many medical journals and research facilities have reported that clinical trials using HCG for weight loss as well as a placebo group do not show that HCG was any more successful than the placebo in helping dieters lose weight.